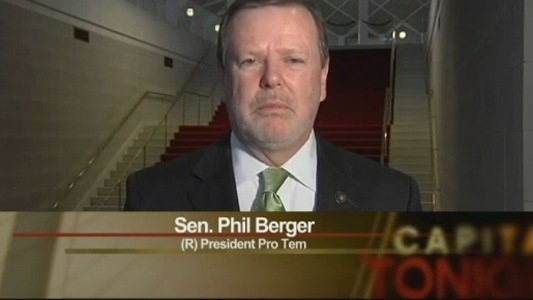 NC Senate President Pro Tem Phil Berger is the acknowledged dictator of North Carolina. He runs the NC Senate, which means he runs North Carolina. He ran over Republican Governor Pat McCrory for four long years and is partially responsible for making the "toe-stepping" McCrory a laughingstock. And just to show him who's Boss, Berger's crippled the governorship of Democrat Roy Cooper. Berger wanted to make Phil Berger Jr. a congressman in Washington, his greatest failure to date. Still, he could make Junior a judge as consolation, and now Junior sits on the bench. No one can beat Phil Berger for his NC Senate seat, which includes parts of Guilford and Rockingham counties. At least that's the conventional wisdom. In fact, to oppose Berger or his lieutenants can figuratively land a horse's head in your bed, so to speak, and according to Greensboro News&Record Editor Allen Johnson. But lookie here at who's rising up to challenge Berger, not because she thinks she can win but because sometimes you just have to stand up to abusive power, no matter the odds. Jennifer Mangrum is the child of two public school teachers and a lifelong educator herself. 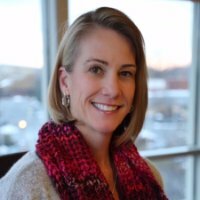 She taught elementary school in North Carolina for 14 years, and for the last nine years she's been teaching other public school teachers how best to teach (as a professor of education at UNCG). ...why do we allow Phil Berger to remain in power? He does not work to insure that all men are created equal. In fact, he does the opposite. He creates laws that discriminate, he defunds schools so that children don’t have the same opportunities when they grow up, and he rules the NC Senate as though he were King, grabbing power from our executive branch and ignoring the consent of the governed. Mangrum is just beginning to find her political voice, and we hope she'll campaign. That'll take money. Jen and I became friends during the summer. We were in the same boat dealing with the university getting permission to run for the legislature. Then we were both in the iopl.org Fellows Program. She has lots of energy, is articulate, and has unsurpassed passion. She will make a great run and will be a great State Senator. So happy to hear this! Go Jen!! Save our state! Work on correcting the current educational mandates. Bring us back to the NC we know and love that respects teachers, funds all teachers, and has a long-range vision for the future economy of our state. As a music educator, UNCG alum, and former Guilford Co. resident who still has family & friends there, I whole-heartedly support your efforts and wish you the best. You can do this!! I just wish my 96-year-old grandmother and former elementary teacher could've seen this happen. Thank you! Is she taking donations yet? I'm ready. And I don't live in her district. Wish she had a chance....doesn't mean I won't vote for her. I will. Where can I send a check to her campaign...Berger needs to go! I understand many of you do not agree with Phil Berger and his political decisions. However, I bet few of you really know him. During the nineties, I worked in the legal system in North Carolina. As a practicing lawyer in Eden, North Carolina, Phil Berger displayed impeccable ethics. In fact, he was probably the most honest and ethical lawyer I worked alongside in the nineties. Phil fought zealously for the rights of clients from every walk of life and cultural background. He is definitely a true conservative and thus does not believe in over reaching government and regulations. He understands the value of a dollar and the responsibility of managing tax dollars that belong to the citizens. It is okay to fight his political ideology but please don't resort to disparaging his or demonizing the man. Well said William. I’m the first to say that I don’t always agree with Senator Berger, especially on social policy. Still, he is a man of integrity and would do anything he could to help anyone. Disagree with him - that’s fine - and I think it’s great for him to have competition at the polls - but no character bashing please. I see nothing, absolutely NOTHING ethical in gerrymandering (big, not little government,) the bathroom bill, trying to legislate morality (big, not little government.) I'll stop here because my point has been made. No name calling or character bashing was used in this rebuttal. I think these comments about Berger's ethics as a lawyer serve more to illustrate how far he has fallen then to speak to his ethics now. It's hard to see how he could be more dishonest as a State Senator.